In 2014, my mom challenged me to feast into creativity during the season of Lent instead of fasting from something. We both set out to create a 12"x12" min quilt sketch each week to stretch our creative muscles and boundaries. These we named our "Lenten Twelves." That first year, I tried new piecing methods, explored ideas for printing on quilts, and most of all, had such a creative blast that I decided to repeat the ritual every year. You can check out her Lenten Twelves quilts on her blog, Fibermusing, as well as mine using the links below. Last year, our Lenten explorations took on new sizes. My mom went from 12" squares to 15" squares, and I decided to play around with baby quilts. Since they weren't 12"x12," we decided to call our series Forms of Lent. My sister and boyfriend also participated, She stepped out of her architecture comfort zone and took a black and white photo each week. He explored a new material, walnut plywood, and designed and built a bench. 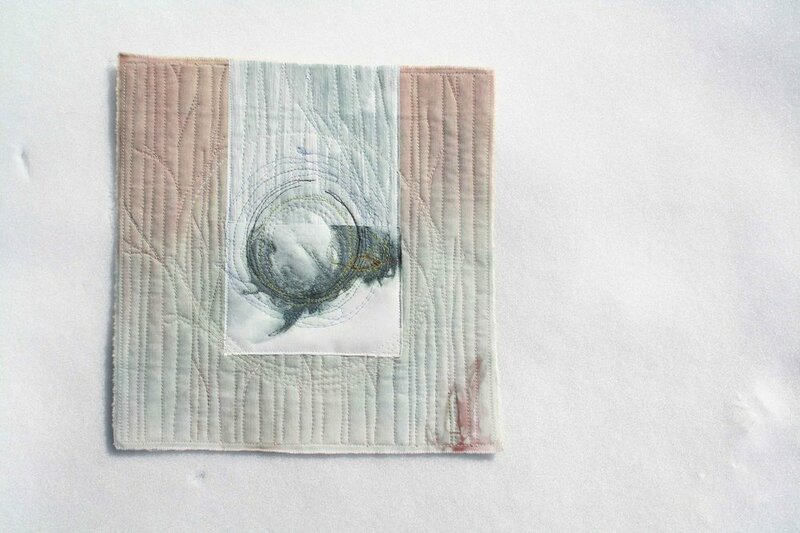 This year I am setting out to create mini quilt sketches again. Each quilt will be printed with a 12"x12" grid. Although I haven't completed a quilt a week yet, the creative juices are beginning to flow! I have sketched, designed, and cut the pieces for my first Lenten Twelve of 2017. Let the Lenten Twelves begin!